State sales tax bases have two key areas in need of improvement: in some ways, they are too narrow, and in other ways, they are too broad. State sales tax bases have narrowed over time as new exemptions have been created, such as exemptions for groceries and prescription drugs. Another factor contributing to the shrinking of sales tax bases is that most states do not yet apply the sales tax to services, even as the U.S. economy is becoming increasingly service-oriented, with goods declining as a share of personal consumption. 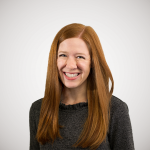 At the same time, there are many instances in which states apply the sales tax too broadly, capturing business inputs that ought to be exempt. When businesses pay taxes on inputs, the costs of production rise, resulting in some combination of higher prices for consumers, less business expansion, and fewer job opportunities. This concept is known as “tax pyramiding,” whereby the sales tax is assessed multiple times throughout the production cycle. When a state’s sales tax is applied to too many business inputs, the sales tax starts to function as a gross receipts tax, arguably the most economically harmful of the major state-levied taxes. The map below examines states that apply their sales tax to manufacturing machinery, one of many business inputs that ought to be exempt. 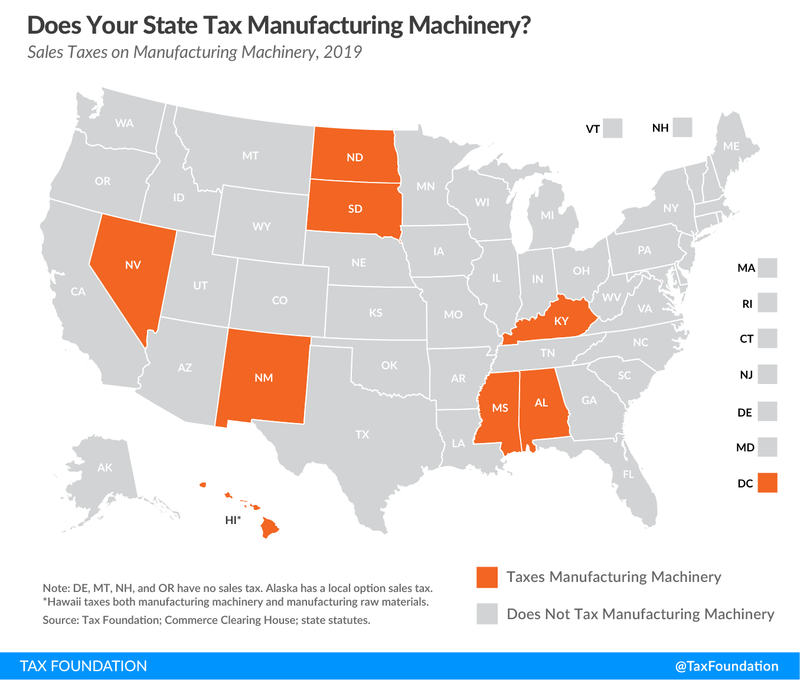 While most states correctly exempt manufacturing machinery from their sales tax, notable exceptions exist in Alabama, Hawaii, Kentucky, Mississippi, Nevada, New Mexico, North Dakota, South Dakota, and the District of Columbia. Hawaii, a state with a sales tax base so broad that it applies to more than the state’s entire economy, taxes not just the machinery businesses use to manufacture goods, but also the raw materials used in manufacturing. New Mexico and South Dakota are other states that tax a high number of business inputs compared to the rest of the country. Eliminating taxes on manufacturing machinery and other business inputs is one way states can make strides in becoming more attractive for business investment, while making progress toward a more properly-functioning consumption tax. To see which other business inputs your state should consider removing from its sales tax base, see Table 16 in our 2019 State Business Tax Climate Index. To see how your state’s sales tax compares to other states in terms of competitiveness, check out our interactive map.